1. Great Leaf-Peeping Route: Mountain bike or hike through Gatineau Park in Quebec just outside Ottawa, a wilderness region that turns raging crimson and gold in autumn. In winter, the park has one of Canada's largest cross-country ski trail systems. 2. Great Stand-Up Paddle Boarding: Learn to SUP on a 77-mile (125-km stretch) of the Chief Whitecap Waterway, winding through valleys and past beaches in southern Saskatchewan all the way to Saskatoon. 3. Greatest Peak: The Great Trail’s highest point is 7,169 feet (2,185 m) along Alberta’s Kananaskis Country Trail in the Rockies, a dramatic route right in Calgary’s backyard. With snowcapped peaks rising above the valley, it’s heaven for cross-country skiers and snowshoeing enthusiasts, hikers, fat-tire bikers, and horseback riders alike. 4. Great Rail Trail: T’Railway, a 19th century former rail line, winds 542 miles (870 km) clear across Newfoundland from Port aux Basques to St. John’s—a linear parkway with ocean views, old stations, relic trains, and 132 restored trestles. Great for hiking, biking, horseback riding, and dog sledding. 5. Great Dog-Sledding Terrain: Dogsled back in time on the Yukon’s Dawson Overland Trail an historic, wilderness, post-Gold Rush route from the Takhini River north of Whitehorse to rustic Braeburn Lodge on the Klondike Highway (famous for their legendary giant cinnamon buns). 6. Great Waterfall Trail: The 35-mile (57-km) Niagara River Recreational Trail parallels the Niagara River from historic Fort Erie past iconic Niagara Falls to Fort George in the exquisite Victorian town of Niagara-on-the-Lake. Stop at wineries for tastings along the way. 7. Great Coastal Route: Winding along the shore of Nova Scotia’s spectacular Cape Breton Island, the flat, easy 56-mile (90-km) Celtic Shores Coast Trail offers wilderness, beaches, and Celtic culture and music for hikers and bikers. 8. Great Horseback Trail: The historic, abandoned 1915 Kettle Valley Railway is a 249-mile (401-km) trail with towering trestles bridges and tunnels built by early pioneers. A 15-mile (24-km) section near Kelowna, BC through Myra Canyon is a cliff-hanging trail offering fabulous canyon views. The trail can be accessed on horseback as well as on foot, bicycle, or by cross-country skis. 9. Great Tidal Trail: Cycle or hike alongside the world’s highest tides on New Brunswick’s 6-mile (10 km) Fundy Trail Parkway, a hilly cliff-hugging route with sea views of the Bay of Fundy, a five-tier waterfall, and sandy beaches frequented by sunbathing seals. 10. Great Sand Dunes: Hike or cross-country ski 11 miles (17 km) amid sand dunes—some of them five stories tall—and great beaches in Saskatchewan’s Good Spirit Lake Provincial Park. Keep your eyes peeled for foxes, coyotes, elk, moose, and deer. 11. Great Urban Trail: Cycle or walk along Lake Ontario’s shoreline on the Waterfront Trail from Burlington to the skyscraper-lined foreshore of Toronto, Canada’s biggest city, on 54 miles (87 km) of paths through botanical gardens, marshes, parks, and beaches. 12. Great Foodie Route: Feed your inner foodie on the Cowichan Valley Trail north of Victoria, BC on a scenic 75-mile (120-km) route packed with farms, cheese-makers, vineyards, and small cafes. The route also passes through eight restored wooden trestle bridges, including the Kinsol Trestle, one of the world’s highest bridges. 13. Great Family Cycle: Spectacular views of towering snowcapped Rocky Mountain peaks along an easy, 14-mile (22.3 km) paved trail with educational markers and picnic sites makes Alberta’s Banff Legacy Trail a perfect day trip for families. Bonus points if you spot big horn sheep, moose, elk, and bears. 14. 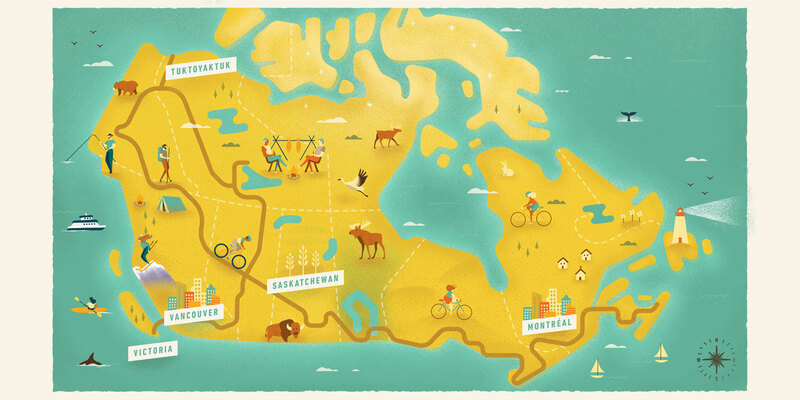 Great Cultural Route: A 16-mile (25.5-km) paved trail, part of the vast Capital Pathway network throughout Ottawa, takes in the Canadian Parliament Buildings, the National Gallery, historic Rideau Canal, and the 1827 ByWard Market, as well as parkland and neighborhoods along the Ottawa River. 15. 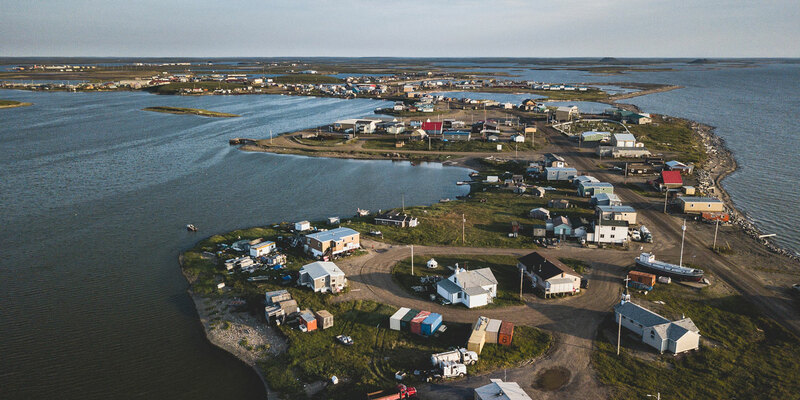 Great Best Kept Secret: Although not connected to Southern Canada by road or rail, the Inuit-run Arctic territory of Nunavut also has a tract of The Great Trail across Southern Baffin Island. 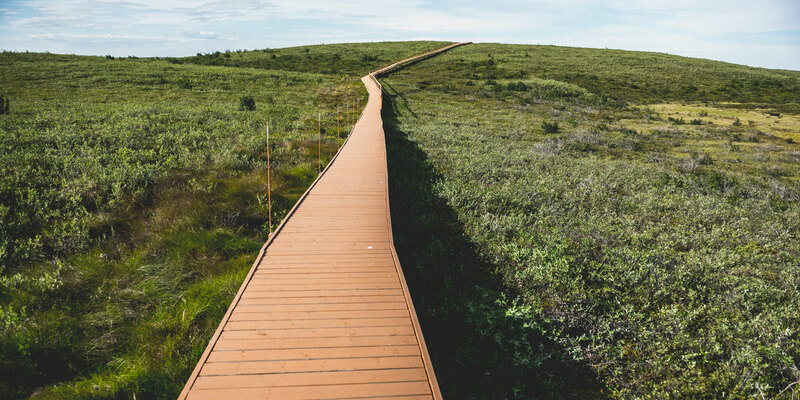 The 89-mile (143-km) Itijjagiaq Trail is a traditional Inuit route between Frobisher Bay and the hamlet of Kimmirut, passing through the lush tundra wilderness of Katannalik Territorial Park. The trail follows the Soper River for much of its length (which can be paddled), and there are nine warming huts along the way, but the way is not well marked, and is best tackled by experienced hikers and cross-country skiers.